This is a transmission electron microscopic (TEM) image of a Listeria sp. bacterium, discovered in a tissue sample. See PHIL 2286 for a black and white version of this image. 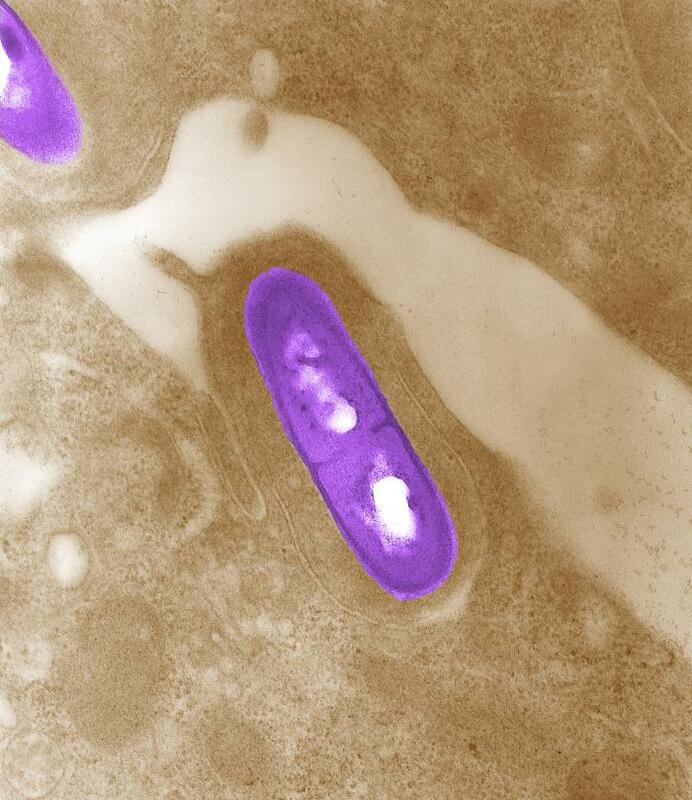 Listeria monocytogenes is the infectious agent responsible for the food borne illness listeriosis.